1. THEY DON'T REALIZE HOW BIG SONOMA IS: Sonoma is big, huge really. On a google map it might look like you can easily drive from the Sonoma Plaza to Healdsburg and unless sitting behind the wheel of a rental car is your idea of a good time you need to plan it out. If you're coming on a day trip just stick to one area - Downtown Sonoma Plaza, Glen Ellen/Kenwood, or Healdsburg. 2. THEY DON'T GIVE THEMSELVES ENOUGH TIME AT EACH WINERY: Don't try to do 10 wineries in one day. I know, I once wrote an article about that but I was kidding! No, you should start your day around 10, do one winery, do a picnic or lunch, then 2 in the afternoon. OK, you can squeeze one more in but the idea of wine tasting is to visit places where you want to hang around for a while, not taste and get going to the next one. Do a tour, taste in a cave, have a leisurely picnic. Rushing around is for rookies. 3. THEY DON'T STOP AND SEE THE SIGHTS: You came to Sonoma to taste wine, I get that. But if that's all you did you'd miss some great Sonoma attractions such as Cornerstone Sonoma, a very cool space with boutique shops, restaurants, and some of the coolest gardens (presented by Sunset Magazine) you might ever see. And yes, there's wine tasting there as well as cooking demos and other activities. Downtown Sonoma Plaza is another destination, a town square sort of stop lined with shops and restaurants and, yes again, winery tasting rooms (some free - Check out Highway 12 tasting room right in the plaza). My favorite restaurant is there as well, the girl & the fig, a casual French/California bistro that's romantic like a Woody Allen movie (think Annie Hall). 4. THEY DON'T PLAN OUT THEIR WINERY STOPS: Don't confuse Sonoma with Napa where you drive down the road and see one winery after another. 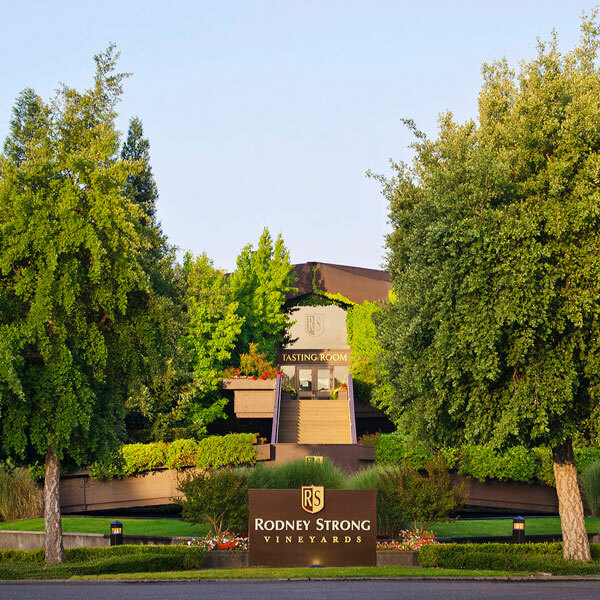 Sonoma wineries are more spread out, tucked away, up dirt roads or hidden in industrial areas. Plan it out, map it out, and stick to it. And don't forget, wine tasting can get very expensive ($20 to $25 per person) so if you are on a tight budget you should get the Priority Wine Pass for 2 for 1 tastings. Get it here to get my discount, $39.99, and get just one card per couple. Then get back to me and I'll even help you pick out your wineries, for free. No coupons to clip, no phone app that makes you text or post, just lots of great wineries and free wine offers. 5. THEY DON'T LISTEN TO LOCALS ON WHERE TO EAT: You're on vacation - don't eat at the same places you can find back home. Instead, take a risk and dine somewhere different and try new things. One of the best tips I read recently was from Bon Appetit magazine where they said to never order something you make well at home because the restaurant version will never live up to your expectations. And never order a steak unless you are at a steak house. That's good advice and I'll add one more - always listen to the locals on where to eat. This is their town, they know the good places. Here's a list of some of my favorite Sonoma restaurants that you can't go wrong at. WELCOME TO LOCAL WALLY'S BLOG TO SONOMA! I am so glad you found me! Not that I've been lost but I know a lot of you planning a wine tasting trip might be. I'm just a guy who wants to help you plan your best trip to Napa and Sonoma ever with no advertiser bias, no paid reviews, just honest info that's vetted and endorsed by my team of friends and locals around the area. You won't find scathing rants like you do on Yelp! You won't find hidden agenda recommendations. No, I'll just show you the BEST of Sonoma from my perspective, one that has garnered me thousands of happy readers and followers. If you own a winery or business reach out to me and let's talk about getting your content onto this site. And if you're a visitor know you can reach out to me and ask me questions and expect to get honest and unbiased help, including picking out the wineries and restaurants to visit. And yes, I also have the best deal on the Priority Wine Pass, the cool two for one card that's so cool that I think everyone visiting should have one. Just flash the card at over 75 wineries in the area and get two for one or free tastings! Email me for more info or buy it here, get ONE per couple. It's good for a year, good in Napa and Sonoma, it pays for itself before you finish at your second stop. So thanks for dropping by and let's get the wine flowing!